New Office Leaves Staff Breathless! Oxygen House is the new home for the Select Statistics team. 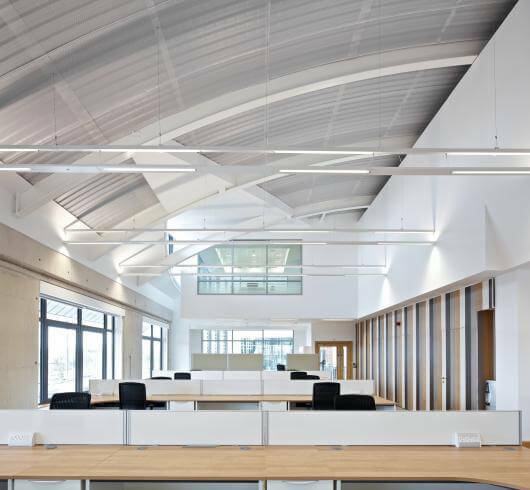 Although only a few hundred yards from the company’s first office on the Exeter Business Park, the 40,000 sq ft eco-friendly building with its café, gym and outdoor sports facilities, together with its panoramic views across Exeter and out to sea, has left the staff breathless. The long awaited move to bigger premises means the company can now start its latest and long-awaited recruitment campaign. Chief Executive Steve Brooks said “Admiral House was a terrific base, but our move to Oxygen House will give us the space to recruit the additional staff we need to meet the growth in demand for our services”. Oxygen House is the new headquarters to the rapidly-expanding ATASS Group. Steve Brooks notes that “being in Oxygen House with ATASS enables us to benefit from economies of scale. We have a fantastic array of meeting, event and video-conferencing facilities, ensuring that we have everything we need in-house to provide the services and support that our clients and staff need”.